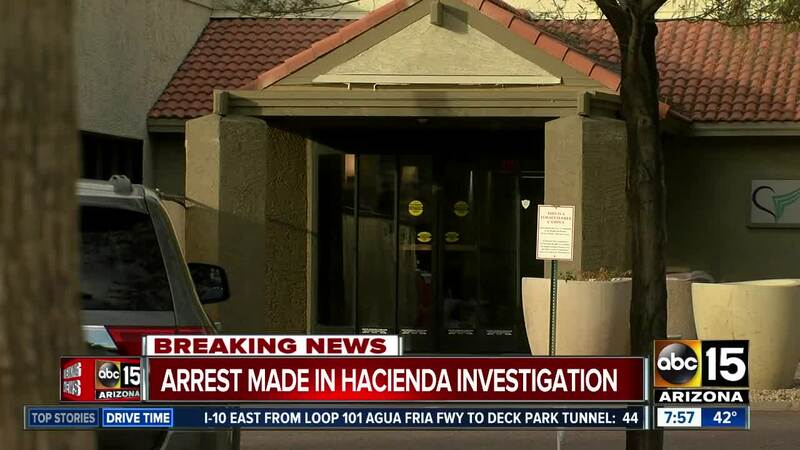 ABC15 sources say an arrest has been made in the case. Police are expected to hold a press conference at 8 a.m.
Williams announced Wednesday that police took the suspect into custody. They identified him as 36-year-old Nathan Sutherland, a caretaker and licensed practical nurse at the facility. Sutherland was reportedly responsible for caring for the victim at the time the sexual assault occurred. He has worked at the facility since 2011. Police say DNA tests from employees reportedly helped police find a match between Sutherland and the baby. Officials took samples from Sutherland on Tuesday. He was taken into custody and will be booked into jail Wednesday, police say. He is expected to be charged with one count of sexual assault and one count of vulnerable adult abuse. Earlier this week, the facility announced that two doctors were no longer practicing and the family clarified the victim's condition , saying she's not in a coma, but suffers intellectual disabilities. They say the baby is doing "quite well" at this time. An internal investigation of the facility is underway. Police are asking anyone with more information to come forward.